Since I’m creeping to 30 this year, I recently started paying a little more attention to my health, so you may see some health-related blogging from me. Hopefully it’s a win-win for us because health it is something we all should pay closer attention to, especially if we want to live long, healthy lives, which is something I certainly am hoping for. Today I was reading Women’s Health, and here are their Top 5 suggestions to slim down AND get a lean belly—FAST!! 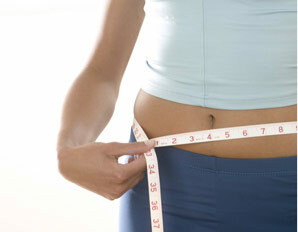 They focus on belly fat because your health risks climb right along with your waistline. Apparently, high levels of belly fat are associated with heart disease, diabetes, stroke and cancer, but obese people are also 37% more likely to die from injuries sustained in a car accident!! Yikes. 1. NEVER GO ON A DIET. Skip the cabbage soup diet or atkins and start focusing on eating great-tasting, belly-filling foods that will keep you satisfied so you wont be likely to overeat. Try wholegrain cereal, oatmeal, green tea, tuna, salmon, apples, walnuts and lean chicken, beef and pork. 2. MUNCH MORE OFTEN. The key is to never be hungry so you don’t overeat and so you can think straight. If your food supply slacks off, you have a “invitation” to gluttony. Women’s Health recommends eating every 3 hours, starting with breakfast. A study from the University of Massachusetts Medical Schools determined that folks that skip breakfast are FOUR AND A HALF times more likely to be obese than those who make time for it. Wow, I think I should start eating breakfast. They suggest that each of your snacks has a good mix of protein, fat, fiber and carbs. They add that eating on this schedule will solve the biggest problem people face when it comes to losing weight: being too hungry to keep it up. 3. DRINK PLENTY AND DRINK SMART. Beverages with added sugar account for nearly 450 calories per day in the average American’s diet. That’s more than twice as much as we were drinking 30 years ago. Now is the time to improve your water intake. Women’s Health says to have a drink of water when you first wake-up in the morning (my guess is probably after we brush our teeth), one midmorning, one before you eat lunch, one midafternoon, one before dinner and one as a nightcap around 8pm. If you stick with this plan, you’ll crave soda less. And if you still crave soda for the caffeine, they say to swap it for coffee or milk. Other smart choices include low-calorie homemade juice, unsweetened ice tea and flavored seltzer water (just be sure to skip those that are high in sugar, fructose corn syrup or any kind of artifical sweetner). 4. COOK IT YOURSELF. After a crazy day, it’s easyto eat at a restaraunt or grab take-out. When we do this, we give up control (and a lot of money!). Plate sizes are larger than they were a few decades ago and often contain more calories. When you cook at home, you tend to linger longer over a home-cooked meal, which has been linked to consuming less calories. Plus, kids who grow up in families that regularly observe the evening meal do better in school, weigh less and are more likely to stay away from drugs. 5. EAT SIMPLY. Ever read the label on boxed or canned food? If so, you’ll know it has tons of additives you probably have never heard of. Instead, stick with foods where there is only one ingredient. What this means is you’ll spend more time in the aisles you should be in: produce, meat and dairy. Women’s Magazine adds that “that’s where all of the slim women shop.” Lucky me.